CACI synergy is the newest and most advanced system on the market from CACI International. Breakthrough S.P.E.D (simultaneous photo-electrical delivery) combined with CACI’s signature micro-current and high brilliance LED light therapy combine to create CACI’s most enhanced skin treatment results. Renowned for its non-surgical facelift, CACI uses patented micro-current technology to re-educate and lift the muscles of the face as well as target the main visible signs of ageing. A luxury treatment combining all aspects of the new CACI Synergy system for facial toning, leaving a youthful and radiant complexion. Comprising of CACI’s non-surgical facelift, ultrasonic peeling, orbital microdermabrasion, wrinkle comb and nourishing hydra mask, this is the ultimate treat for your skin. CACI’s breakthrough S.P.E.D technology is used to lift and tone facial muscles whilst dramatically reducing the appearance of fine lines and wrinkles leaving a more youthful appearance and clear, glowing skin. 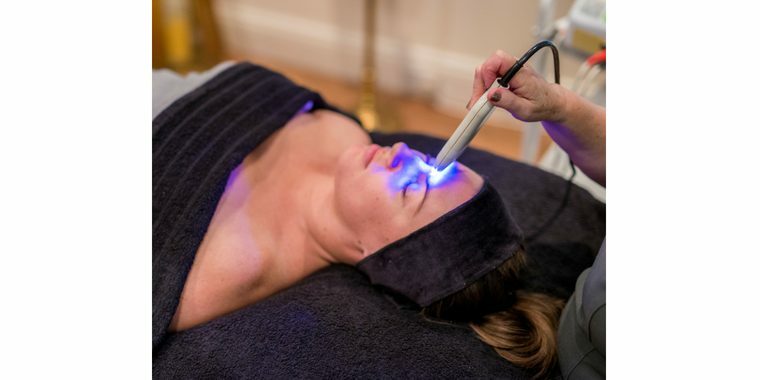 Exfoliating treatment using microdermabrasion and LED light therapy to remove all traces of dirt and destroy skin bacteria, leaving a more radiant and glowing complexion. Designed to lift, firm and refine facial contours using S.P.E.D technology to specifically target muscle laxity around the jawline, also using an anti ageing vita-peptide serum and our Environ machine to penetrate in to the deepest layer of the skin and target fine lines and wrinkles. To see our bespoke CACI & Environ combined treatments that deliver only the best results, please click here. Are you ready to book? If your not sure what to have why not book a FREE consultation with our highly experienced therapists or if you know what you want receive 15% off your first online book by clicking HERE. You can always take advantage of our course options to help you saves you money so you have radiant skin more often for less.